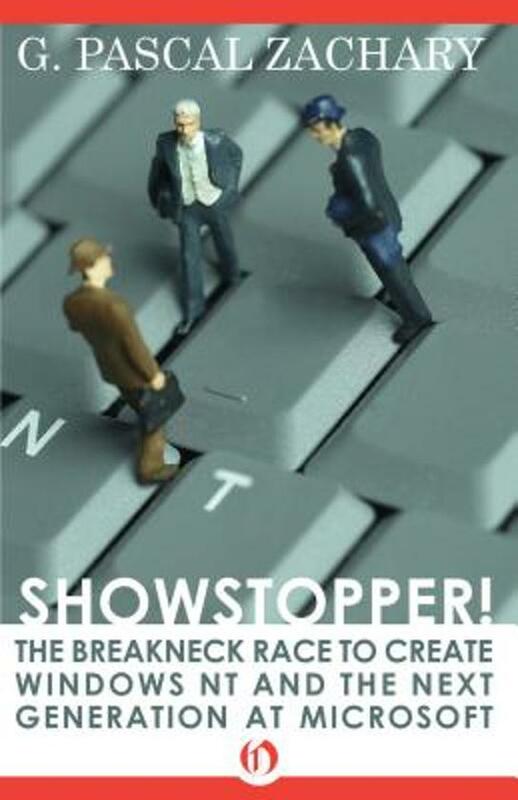 Showstopper is the dramatic, inside story of the creation of Windows NT, told by Wall Street Journal reporter G. Pascal Zachary. Driven by the legendary David Cutler, a picked band of software engineers sacrifices almost everything in their lives to build a new, stable, operating system aimed at giving Microsoft a platform for growth through the next decade of development in the computing business. Comparable in many ways to the Pulitzer Prize–winning book The Soul of a New Machine by Tracy Kidder, Showstopper gets deep inside the process of software development, the lives and motivations of coders and the pressure to succeed coupled with the drive for originality and perfection that can pull a diverse team together to create a program consisting of many hundreds of thousands of lines of code. Onderhoudend boek over de ontwikkeling van Windows NT. Het boek bestaat voornamelijk uit persoonlijke verhalen en anekdotes. Helaas komt de techniek wat minder aan bod en krijg je weinig te weten over wat moeilijke beslissingen waren. 'Inside Windows NT' van Helen Custer gaat meer over de techniek, maar ook daar krijg je alleen het eindresultaat te horen.